Test & Measurement instruments and industrial equipment we offer for sale is ranked in three groups. Pre-Owned and Fully Tested - this is used equipment of which the major system parameters have been tested and verified against the manufacturer's specifications. For these instruments, a dedicated Test Report is delivered with the instrument and the warranty period generally is ninety (90) days. Pre-Owned and in Good Condition - this is used equipment of which the functionalities have been checked when possible. The instrument parameters are not verified to be within the manufacturer's specifications. 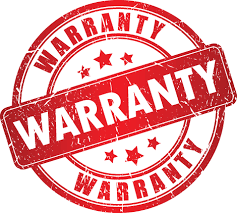 The warranty period generally is thirty (30) days. Pre-Owned and Sold As Is - these instruments may have visible defects and may or may not be functional. These are sold for use by specialists, for repair by enthusiasts or for spare parts. There is no warranty on this equipment. For most of our stand-alone instruments such as power supplies, oscilloscopes, counters, signal generators etc. we can offer the 'Fully Tested' option on request, and supply a dedicated test report with the instrument. For electronic components, we offer a 1 month warranty that the products will perform in accordance with the manufacturer’s original specifications. Within this guarantee, subject electronic component(s) will either be replaced or a refund given of the purchase price.